A bachelor party is often given the day before the wedding. This party is there to go once more completely before you step into the marriage boat. You are still seen as a single person before the wedding and that has to be celebrated. This party is organized to say goodbye to life as a bachelor. Often this party is given for a friend of the person who is getting married. Of course this can also be the brother or sister. For example, you have a men’s bachelor party. Many people are often invited and sufficient drinks are arranged. A bachelor party should be fun, but also funny. A common idea is a stripper. This is possible at the party of both the man and the woman. Everyone knows the idea of ​​a stripper who jumps out of a pie, for example, or arrives as a policeman. However, these are ideas that are very common and therefore not very original anymore. This does not mean that it can not be fun. Another frequently heard idea is to go to Munich together for a hearty Oktoberfest. The disadvantage is that it is very expensive. Very nice of course, especially in style with a real lederhosen and mustache. There are many more bachelor party ideas. 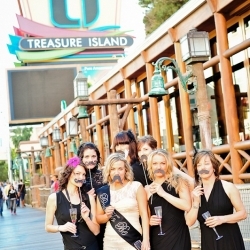 Think of a mustache as a bachelor party. For example, you can let everyone run around with a slab mustache. You can give a bachelor party gift only to the person who is getting married, but also to everyone who is there. This idea is mainly humorous. The bachelor party ideas are actually very easy. Letting everyone walk around with a funny mustache can already provide a nice atmosphere. Moreover, a mustache is very easy and you do not have to immediately think that this is painful if you want to get rid of the mustache. Think of the hilarious pictures of the bachelor party gift. Everyone is in the picture with a nice stick mustache and entertained. Furthermore, it is important to have everything arranged down to the last detail. You do not want something going wrong at a party like this. These parties will not happen very often, and therefore it is necessary that everything is well organized. There are hundreds of bachelor party ideas. I can definitely recommend you to go for the mustaches. A mustache is a nice gift, and also very cheap.